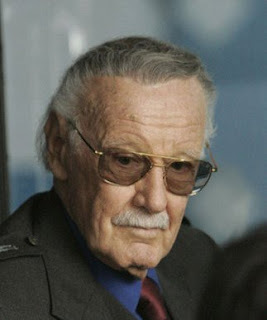 Stanley Martin Lieber (Stan Lee) was born in 1922 in New York. He's the creative mind behind characters like The Fantastic Four, Spiderman, Hulk, Iron Man, Daredevil, X-Men, and more. When he finished his studies, Stan Lee began to work in Marvel. He was cousin of Martin Goodman's wife, the publisher of Marvel Comics. After a year of working there, he did his first work as a writer of comic stories. It was a short story starring by Captain America. But Stan Lee dreamed of creating his own characters, and being an important fiction author. 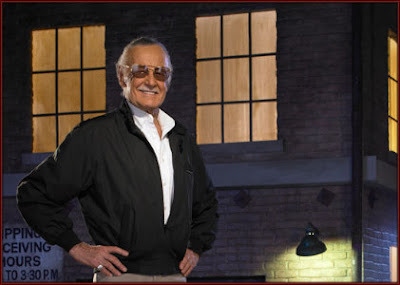 That first work was signed with the name "Stan Lee", the name with which he's known worldwide. 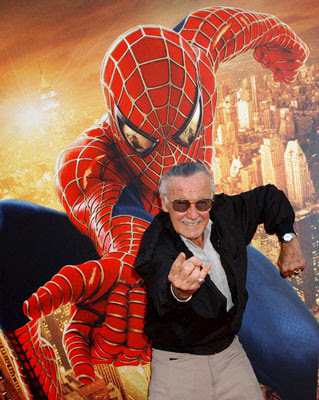 During the following years, Stan Lee was editor, artistic director, writer-director, and made up to 5 comic books per week. Stan Lee was a big fan of Errol Flynn movies, giving that touch of arrogant and brave hero to his own characters. Other people that inspired Stan Lee were the historical figures of Franklin D. Roosevelt, and Winston Churchill, that were leaders in times of war. For Lee, Roosevelt was the perfect President, responsible and protective. He admired the tenacity and strength of Churchill. One of the most strongest support of Stan Lee was his mother, who always had a big faith in her son's projects. Between the writers that Stan Lee admired most there were Mark Twain, H.G. Wells, Charles Dickens, Edgar Allan Poe, Shakespeare... These writers were another source of inspiration for Lee. Stan Lee, with the drawers Jack Kirby and Steve Ditko took Marvel Comics to a golden age, being the most best-seller comics in USA during decades. But Stan Lee not only thought up great comic heroes, but also he did scripts for radio, TV and movies. One of Lee's great ideas was to bring Spiderman to the newspapers as a comic strip. Spiderman was published as a comic strip in thousands of newspapers all over the world. 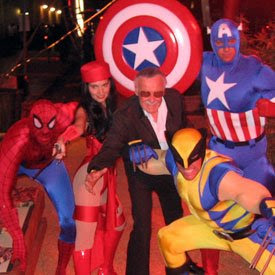 In the 80s, Stan Lee moved to Los Angeles, and became the creative director of the TV series of his characters. Years later, his super-heroes will appear on movies too. His charismatic personality made him do short appearances in the movies based on his characters, reminding us the legendary director Alfred Hitchcock. The success of Lee's heroes is based in that they have weaknesses, fears, some kind of vulnerability... but strength and thirst of justice. Without doubt, Stan Lee is the Midas King of Marvel Comics, that mixes talent and inventive with a strong commercial sense.